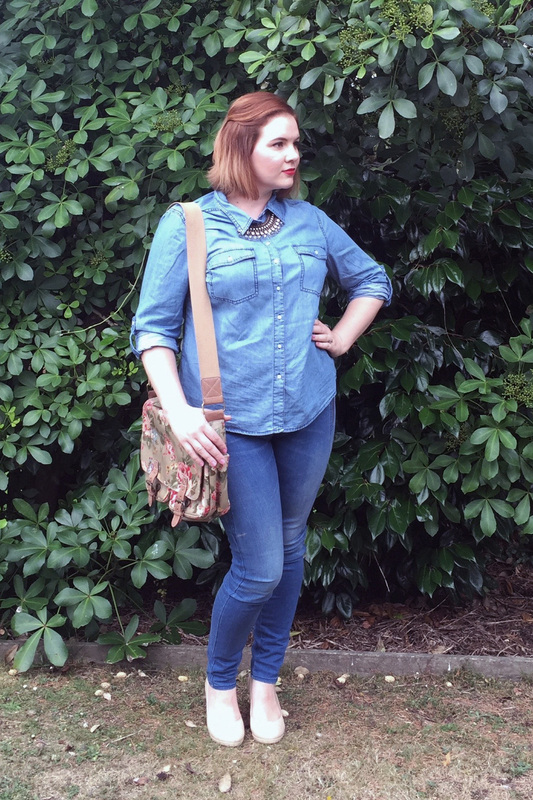 I have never been brave enough to try double denim (even though I am a child of the 80's!) but when I saw this picture of Tanesha Awasthi otherwise known as 'Girl with Curves' rocking her denim I thought I would give it a go. My chambray shirt is from K-Mart (Size 18), and my jeans are last season's Witchery. The bag is Cath Kidston (in my opinion floral goes with everything). What do you think, is double denim for you?